Ten of the eleven graduates who completed our program in the spring of 2014 are working in the field and they all passed the Certified Ophthalmic Assistant examination on their first attempt! 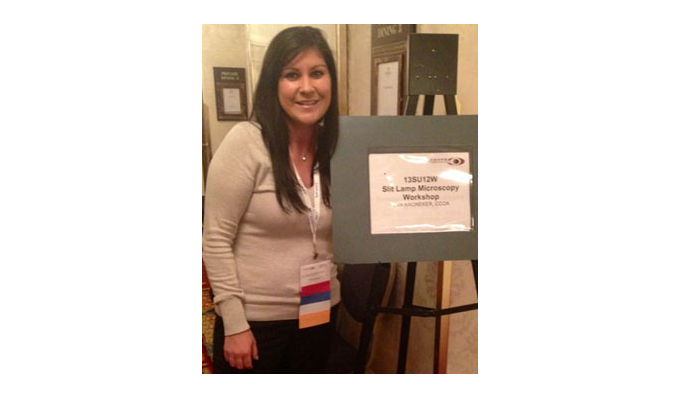 One of the graduates, Lyndy Minkowski, attended the ACE meeting in Chicago last year, earning 16 CECs. The Program has eleven students who just started their second semester, and Lyndy returned to speak to them this month about how much she loves her career! We hired a new Lab Assistant in the fall of 2014, Crystal Stanfa, COT. Crystal also attended her first “Academy” in Chicago in October and co-instructed a slit lamp workshop. The class and two of their instructors visited the Sight Center of Northwest Ohio in October for a tour of their facility and explanation of services provided. They also had the challenging experience of eating a delicious Chinese lunch while blindfolded. 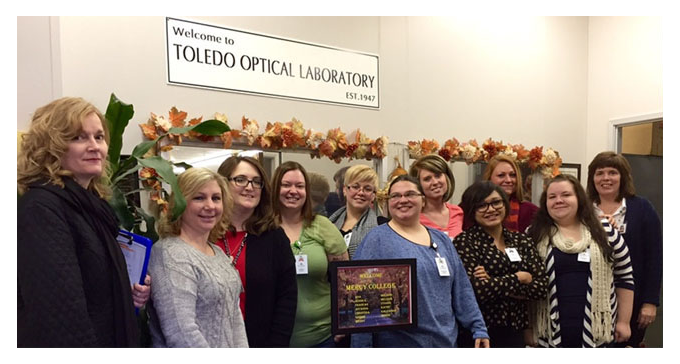 They also enjoyed another fun and very educational field trip to Toledo Optical in November. Also in November, the students and faculty hosted a Prevent Blindness Eye Screening at the College and provided comprehensive examinations for 13 patients. Tia Tucker, OD (Eye Institute of Northwest Ohio) generously donated her time for the evening event. The Program was recently awarded a St. Vincent Auxiliary Grant, which will be used to purchase equipment for our current lab and exam lane as well as program expansion. The program hosted our unofficial “sister program” students from Jikei College in Osaka Japan last October and we are planning their next visit in mid May 2015. Proceeds from hosting these visits help to fund scholarships dedicated to our students through the Portland Community College’s Foundation. This year, two $1,000 tuition scholarships will be awarded to students about to begin the second year of the program.